With the help of the perspective marked cards, the poker games are becoming so simple. The secret of the perspective playing cards only can be revealed by the special invisible ink contact lenses. Using contact lenses is very convenient and easy, you can know all suits and numbers of each playing cards. This is very practical for you in the poker game. When you make full use of the perspective marked cards, the perspective marked cards also will help you to victory. If you want to use perspective marked cards, first of all, you need to understand three questions. What is perspective marked cards? What kind of effect that it can bring to you? How to use it? Only understood the perspective marked cards, can you use it better in the poker game. Perspective marked cards are made of the normal playing cards. 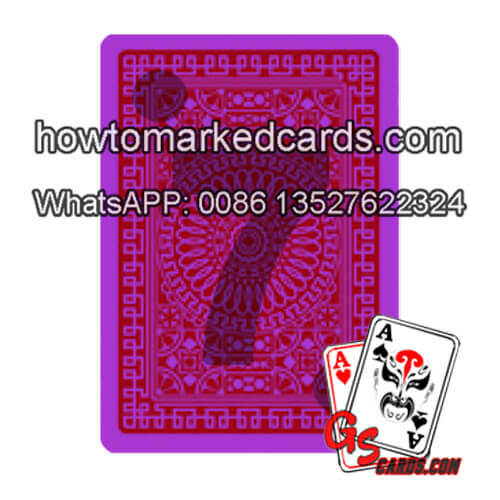 We mark the corresponding invisible marks on the back of the playing cards. The marks are colorless and tasteless. 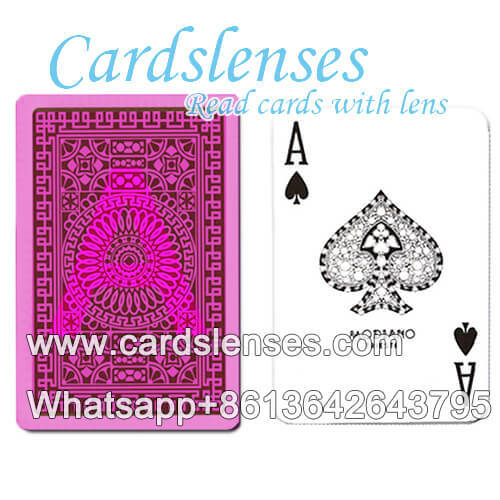 Only with our perspective contact lenses, you can understand the secret of the marked cards, others can not find any difference from the normal playing cards. We have many years marking cards experience, we can mark the cards really well with a good effect. Plastic Modiano cards are really popular with casinos on the world. We also can mark the Modiano Club Bridge playing cards well.